Bathrooms are top of the list when it comes to important places to keep clean, but are also unfortunately one of the most difficult. The great people at Simply Maid Home Cleaning have shared some of their top tips for keeping a bathroom clean for longer. These tips are great for decreasing the amount of time you spend on your hands and knees scrubbing the bathroom floor. It will also mean a much nicer bathroom experience for your family and visitors alike, especially if cleaning sometimes gets away from you. The best method is a little each day, so read on for our top tips. A quick wipe of the inside of your shower after every use will help you avoid hours scrubbing your shower tiles once a month. Bathroom squeegees exist for a reason, use them! Tiles, glass and shower curtains are the main targets here, and make sure to get your whole family on board with this. Otherwise, all your hard work will be ruined by lazy partners or children! Making this into a habit will decrease the buildup of mildew and grime and mean that your bathroom stays cleaner for longer and the time in between deep cleans will increase, saving you lots of time. This is related to tip number 1 and is important for keeping moisture at bay. If you do not have access to a good fan in your bathroom, I would suggest getting one. And if you have one, use it! Turning it on just for when you use the shower or have a bath is not good enough, make sure you leave it on for at least half an hour afterward to get rid of excess moisture build up. Top-tip, utilize a timer so you won’t forget to turn it off later and waste electricity. Excess water is dragged out of your bathroom, and nasty mold has less moisture available to help it grow. There is no point in cleaning at all if you have a leak anywhere. Even a small leak will lead to nasty germs and mildew buildup. Find yourself a local plumber (always good to have one you know in case of emergencies anyway), or better yet get out your wrench and tackle it yourself. Most leaks can be fixed with a quick Google of the problem, or by watching tutorial videos on Youtube. This point cannot be stressed enough. If you do not have a bathroom plunger, you simply MUST get one. You will thank us when the time comes for you to use it. No one wants to me knee deep in sewer water, and it sure won’t have a great long term impact on your bathrooms cleanliness. A plunger is one of the items that you don’t realize that you need it until it is too late, so trust us on this, get one. Same goes for a toilet brush, a quick scrub each time it is needed will do wonders for a cleanliness consistency. 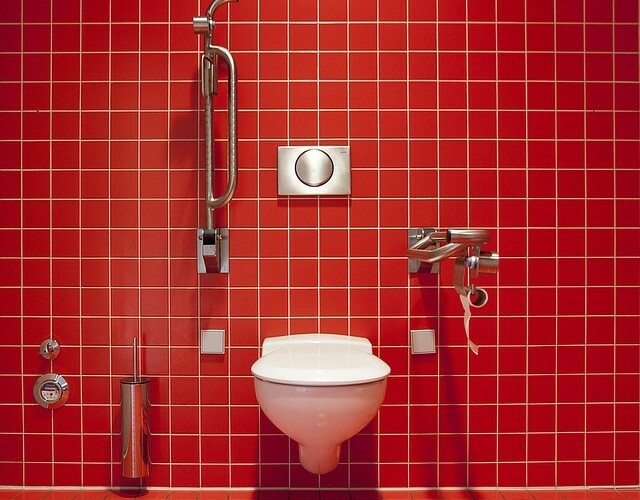 A top tip is to make sure that the lid of the toilet is down before every flush. Moisture (and germs!) escape with every open flush, and the best way to counteract this is to keep that toilet seat down. Men, take notice! It is an easy step to take, but will make a big difference in the long run. We also recommend flushing after each use, to keep the inside of your bowl clean for longer. Maybe think about purchasing a product that cleans with every flush, which will mean much longer in between each manual clean of the inside of your toilet. It will also help with odor control.